Nursing Home Abuse and Neglect: Illinois Nursing Home Attorney Mike Keating: What is nursing home abuse and neglect? What is nursing home abuse and neglect? The questions that residents of nursing homes or their families most often have are "what exactly is nursing home abuse and nursing home neglect?" and "Does this apply to my situation?" The answers to these questions start with the definitions in the Illinois Nursing Home Care Act. The Act defines neglect as "a failure in a facility to provide adequate medical or personal care or maintenance, which failure results in physical or mental injury to a resident or in the deterioration of a resident's physical or mental condition." The Act further defines abuse as "any physical or mental injury or sexual assault inflicted on a resident other than by accidental means in a facility." Both neglect and abuse under the law involve some kind of injury or victimization under the Act. The distinction between the two deals with intent. An easy summary of the distinction is that neglect happens when someone doesn't do something they should have done and abuse happens when someone does something they should not have done. Neglect can be unintentional. It can happen, for example, when an overburdened and understaffed nursing department fails to utilize proper wound care techniques. This can result in bedsores and infections. Abuse, however, is an intentional act. Accidents are not abuse. Abuse occurs when a resident suffers a physical or mental injury or is victimized in a sexual assualt while a resident at a facility. The most common forms of abuse are "rough handling" such as slapping, pushing, pinching, and pulling by nursing home staff. 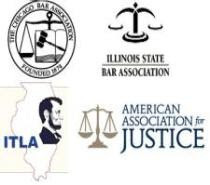 Whether it is an instance of abuse or neglect, it is important for the resident and their families to know that they have rights under the Illinois Nursing Home Care act to pursue a civil lawsuit against the persons and places responsible for the injury or victimization. If you think that you or a loved one has been a victim of nursing home negligence or abuse, please contact Attorney Mike Keating at 312-208-7702 or MKeating @KeatingLegal.com.